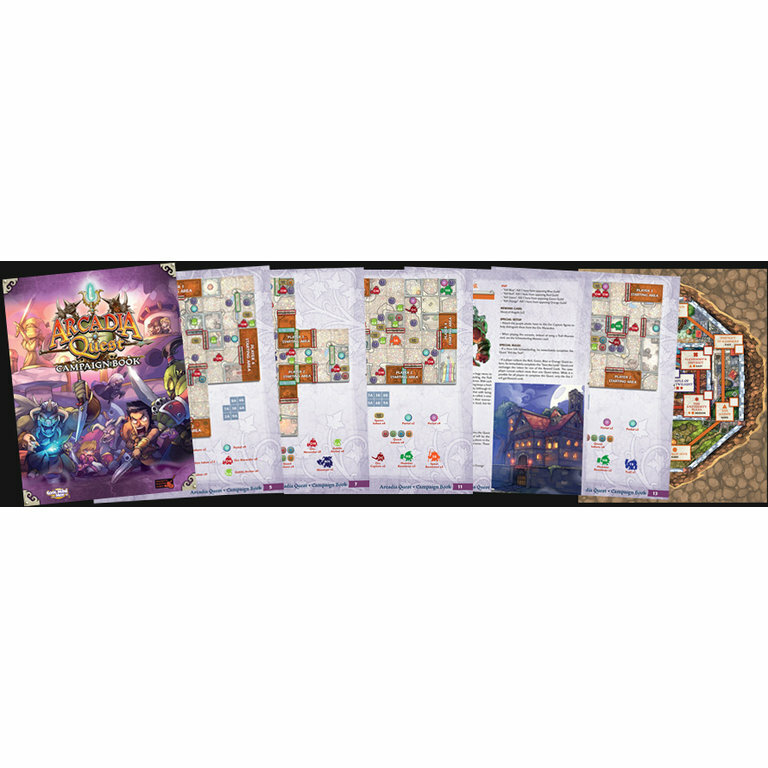 In Arcadia Quest, players lead guilds of intrepid heroes on an epic campaign to dethrone the vampire lord and reclaim the mighty Arcadia for their own. But only one guild may lead in the end, so players must battle against each other as well as against the monstrous occupying forces. 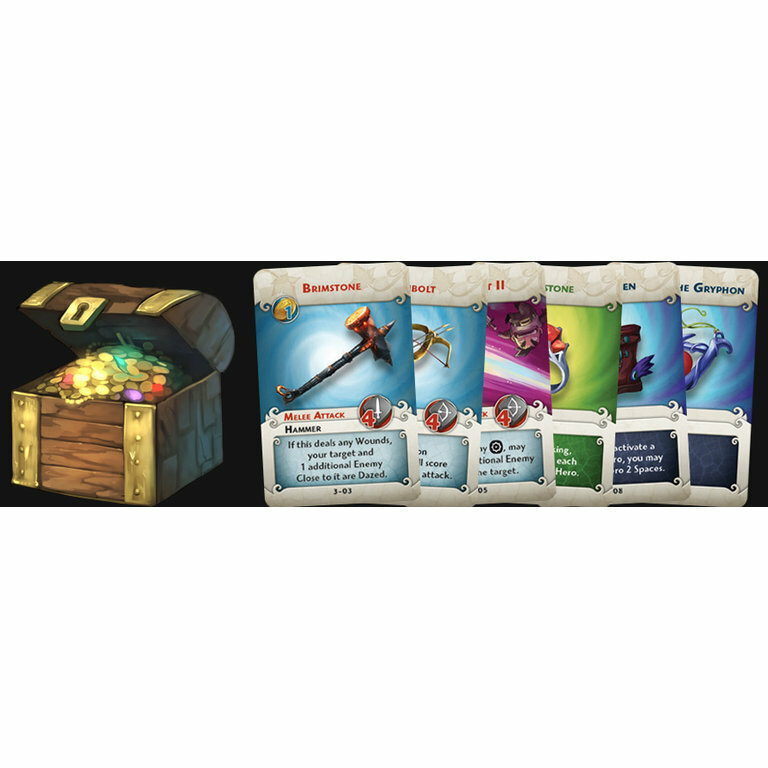 Through the branching scenarios of the campaign, the heroes gain awesome new weapons and abilities, and the game remembers the heroic deeds of players from one session to the next, unlocking exciting new possibilities in future scenarios! 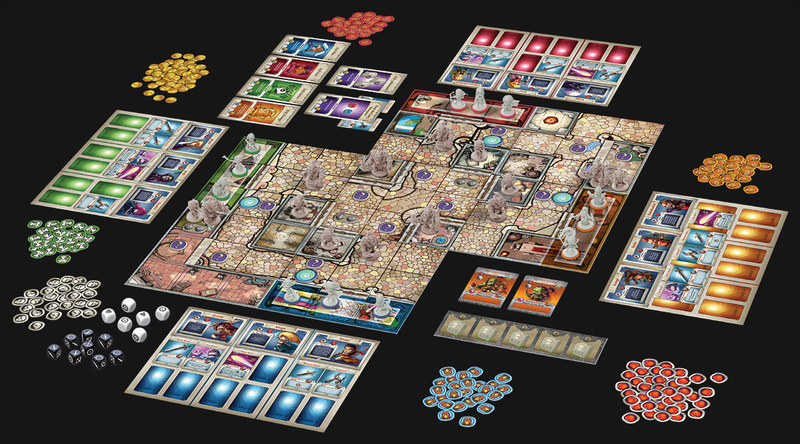 It is a campaign-based game for 2 to 4 players, where each player controls a guild of three unique heroes, facing off against the other players and the various monsters controlled by the game. Players need to accomplish a series of quests in order to win each scenario and choose where to go next in the campaign. 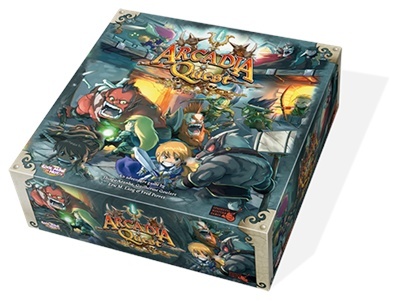 The rules in Arcadia Quest are fast and furious, and every player can focus on using their heroes abilities and equipment to achieve their goals, without the need for anybody to get stuck with the role of solely controlling the monsters. Monsters are "aggroed" when Heroes attack them or come too close to the areas they are guarding. Once activated, monsters then follow simple rules and are controlled by the player on the right. 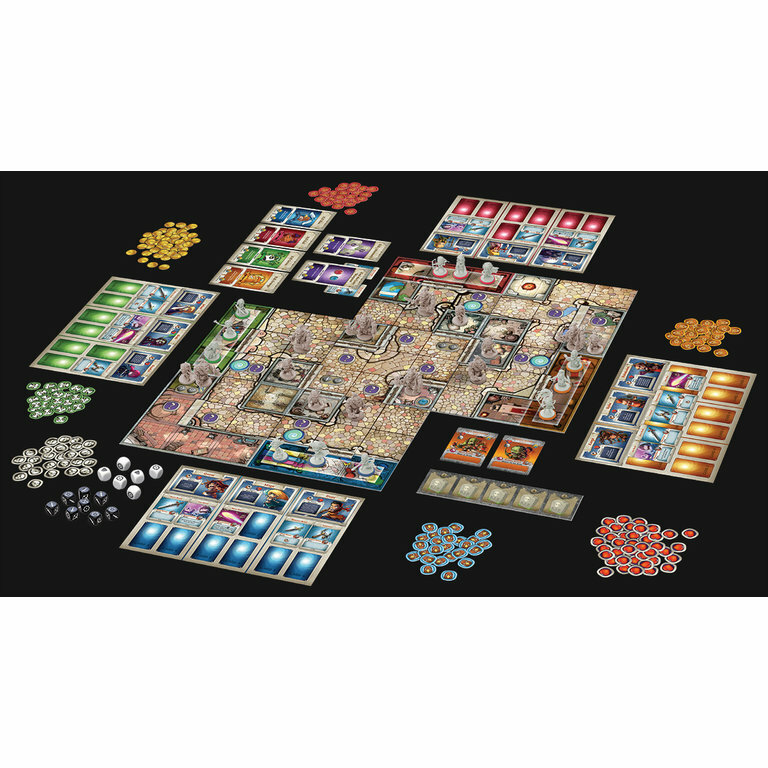 This gives the perfect balance between an automated environment with a little intelligence, without bogging down the rules with complicated "if-then" game logic, or requiring a Game Master. 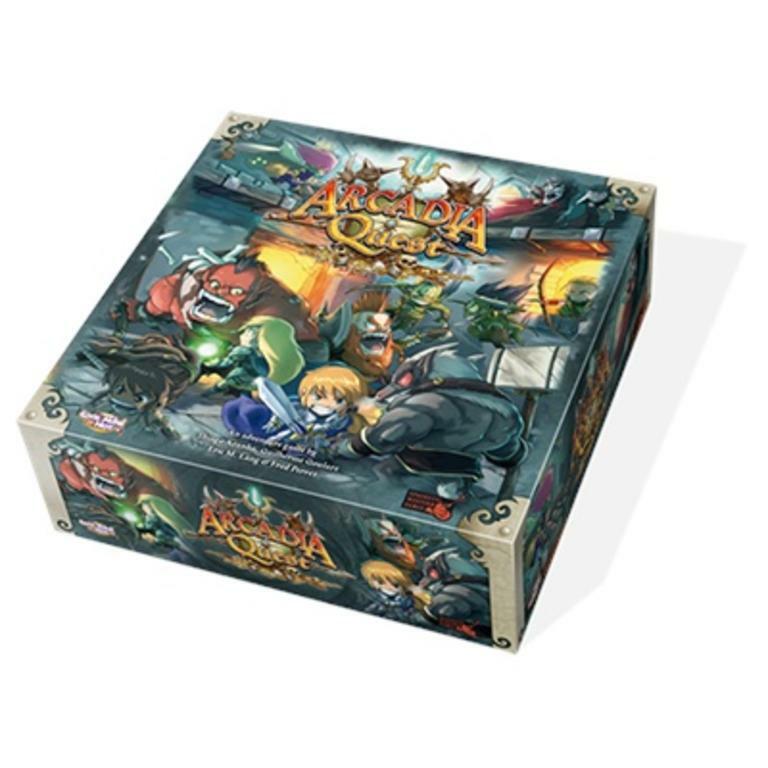 Pets are a brand new system that can be added to ANY Arcadia Quest experience. Dr.Spider’s vile experiments in his search for immortality have unleashed the undead on the streets of Arcadia!